Ray Brandt INFINITI of Metairie is proud to be the trusted INFINITI dealership of New Orleans. Drivers in Kenner and Laplace, LA, know when they visit us at our convenient location at 3700 N Causeway Blvd, near the Causeway Bridge, they will be greeted by our knowledgeable sales team who will help them get behind the wheel of the new INFINITI model or pre-owned vehicle they’ve been searching for. Our dedicated finance representatives will happily work with you on financing or flexible leasing options once you find that perfect fit. Long after you drive off the lot, our award winning INFINITI service center in Metairie will ensure your superior vehicle remains just that – a superior vehicle. 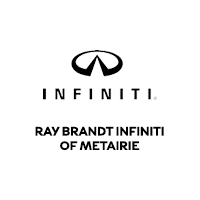 CERTIFIED PRE-OWNED LUXURY VEHICLES at Ray Brandt INFINITI of MetairieAt Ray Brandt INFINITI of Metairie, we have a vast inventory of new INFINITI models, including the INFINITI Q50, stylish QX60, luxurious Q70, sophisticated QX80 and more, both on the lot and online. Not only do we offer the latest INFINITI models, but you can find Certified Pre-Owned INFINITI cars, crossovers and SUVs, and other used vehicles from other top automotive manufacturers at our New Orleans dealership. We encourage you to browse our interactive virtual inventory online where you can search for your new INFINITI or pre-owned vehicle by model, color, year, price, MPG, features and more. And of course, you are always welcome to visit our dealership in Metairie to view these luxury vehicles in person. When you find the right INFINITI model to fit your lifestyle and personality, our financial experts at the Ray Brandt INFINITI of Metairie Finance Department will assist you in finding the automotive financing option to fit your budget. We will work with you through the entire financing process and answer any questions you may have. You can count on us to provide New Orleans, Kenner and Laplace, LA, drivers with quick approval, extended warranties and the flexible vehicle financing options they desire. If you are ready to get the process started, feel free to go ahead and fill out our online finance application to get pre-approval on a car loan before coming into the dealership. You can also get your trade-in appraisal online to get a better idea of your budget. Once you hit the road in your INFINITI vehicle, our award winning INFINITI service and repair center in Metairie will be here for all of your automotive needs. Drivers in the Kenner, Laplace and surrounding areas can trust us with any repairs, maintenance or replacements their vehicle needs. The Ray Brandt Collision Center is also an industry leader in collision repair should you ever need our services. Equipped with the latest specialized technology and INFINITI trained technicians, you can trust the Ray Brandt INFINITI of Metairie service center to take care of every component of your vehicle. You can even order parts online from Ray Brandt INFINITI of Metairie, from the convenience of your home or office. Visit Ray Brandt INFINITI of Metairie today for all your luxury vehicle needs!